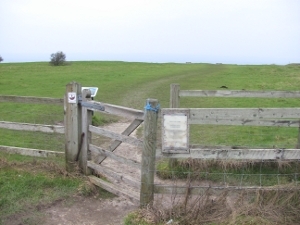 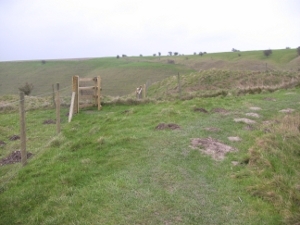 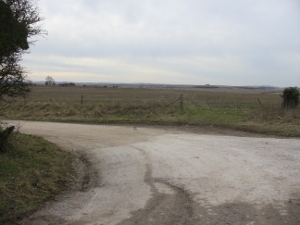 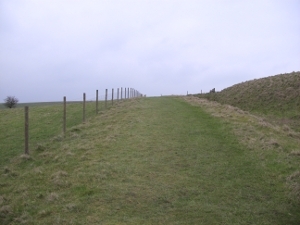 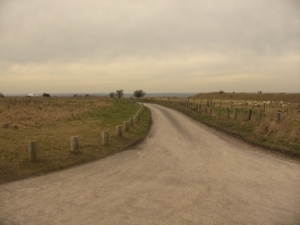 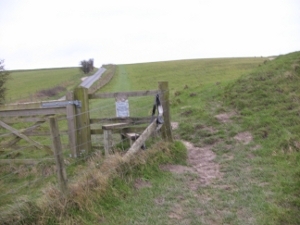 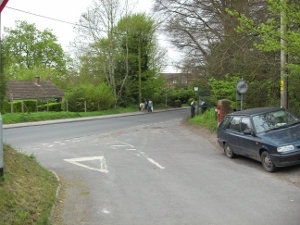 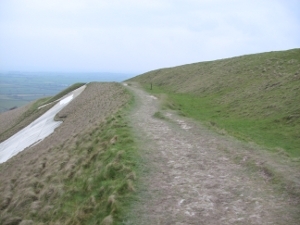 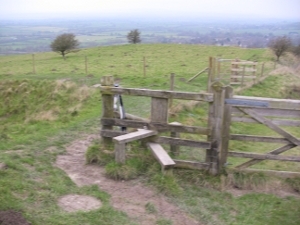 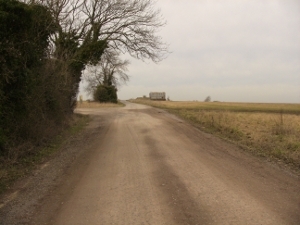 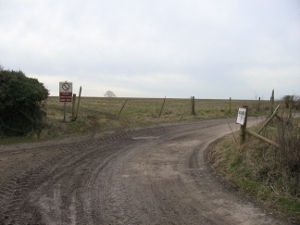 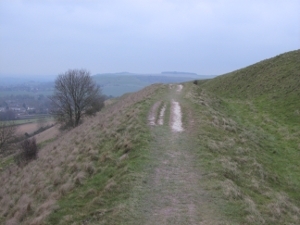 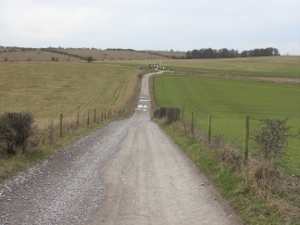 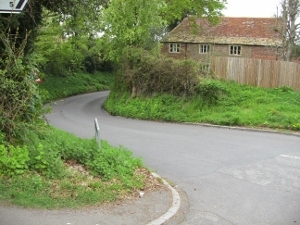 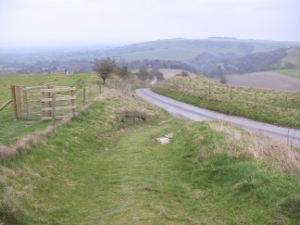 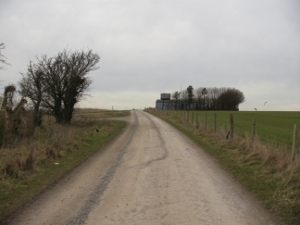 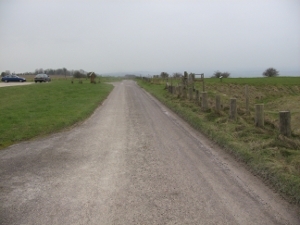 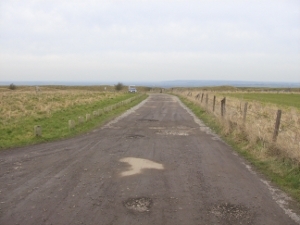 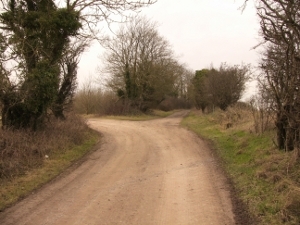 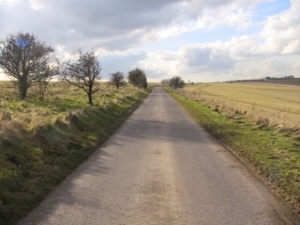 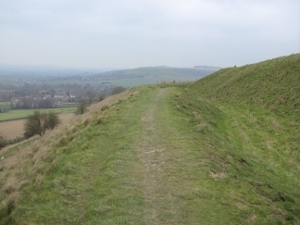 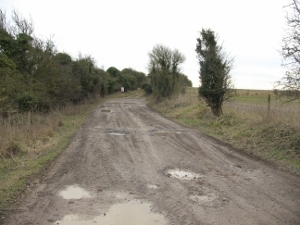 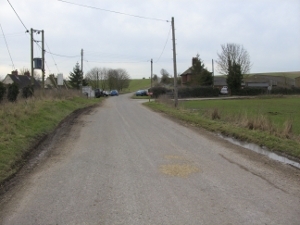 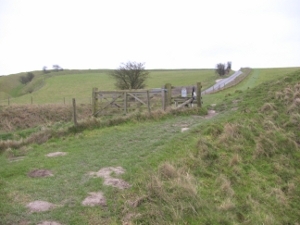 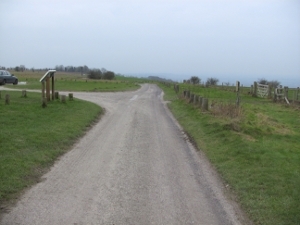 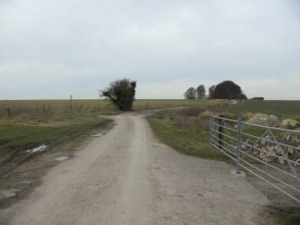 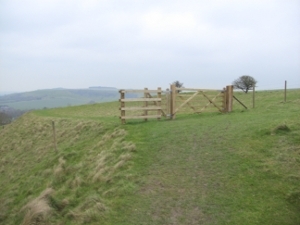 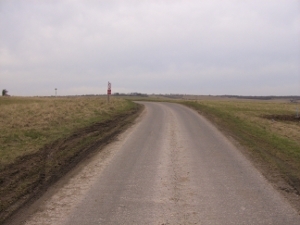 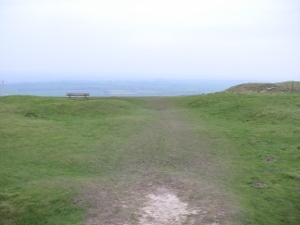 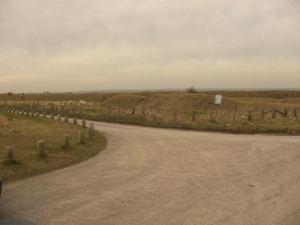 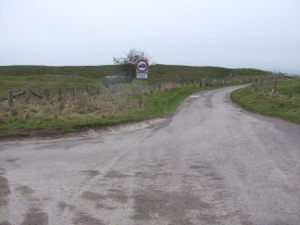 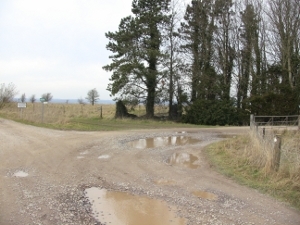 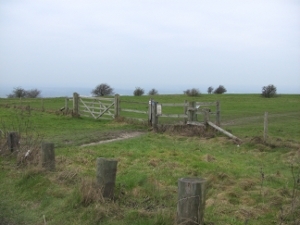 The route is entirely along the Imber Range Perimetre Path. 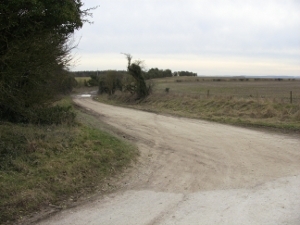 This stage is best suited to your fastest road runners. 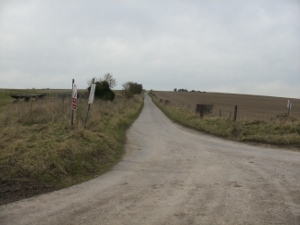 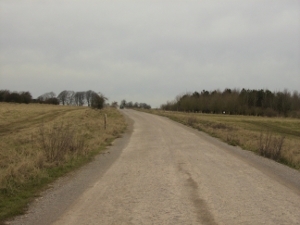 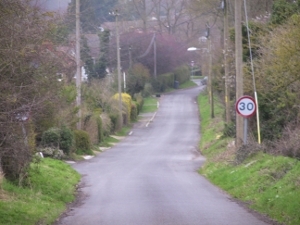 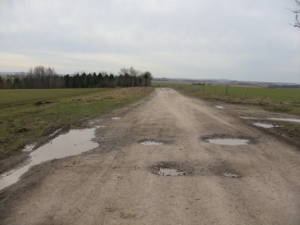 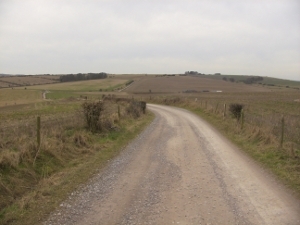 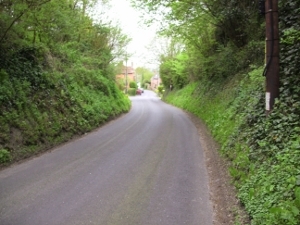 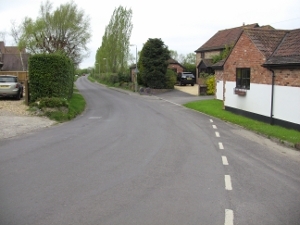 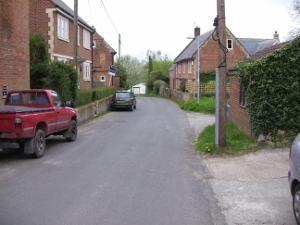 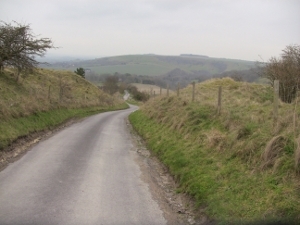 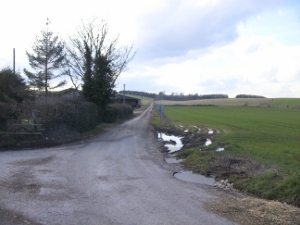 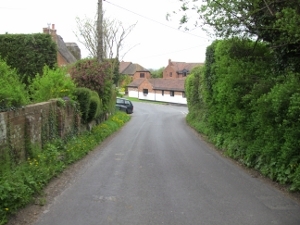 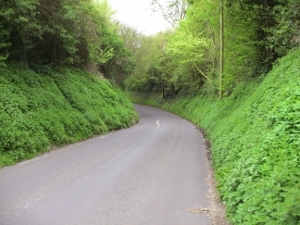 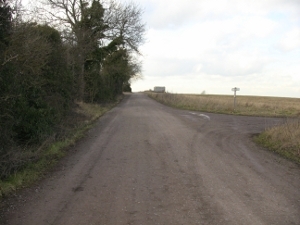 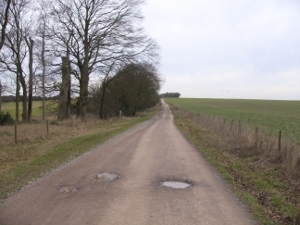 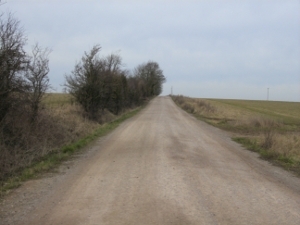 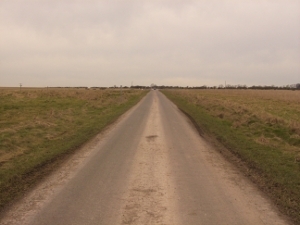 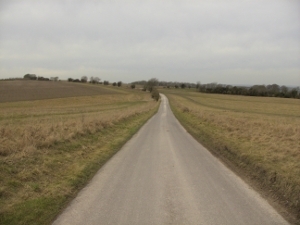 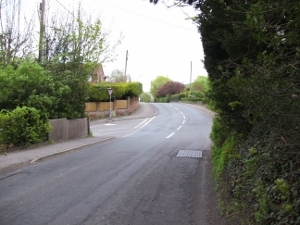 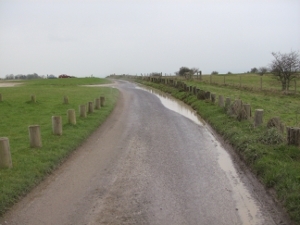 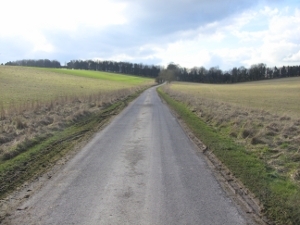 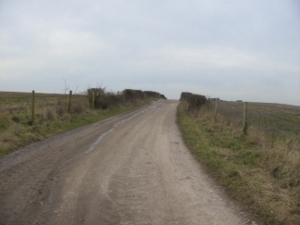 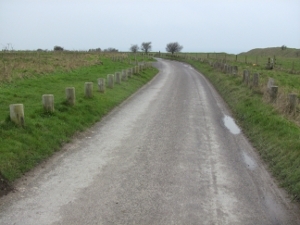 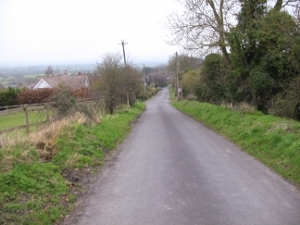 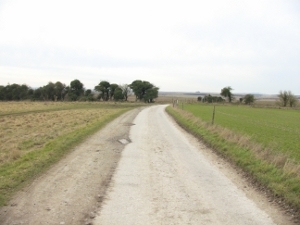 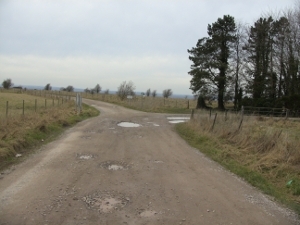 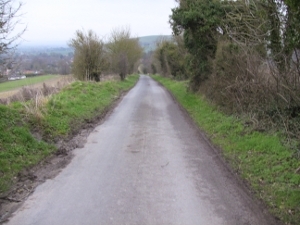 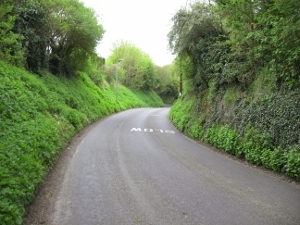 The whole route is on wide roads, some tarmaced, some unmade, with no obstacles like stiles, and follows the Imber Range Path to Westbury. 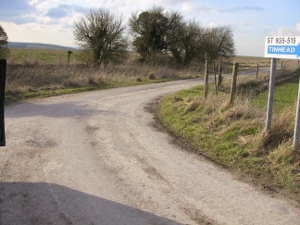 There may be a little traffic, no road closure has been requested. 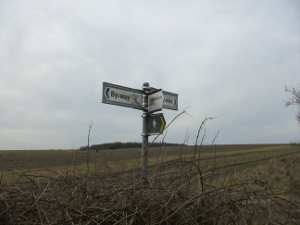 Study the map carefully and get to know the route beforehand. 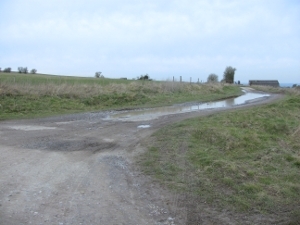 There will not be any water points, so please provide water for your own runners. 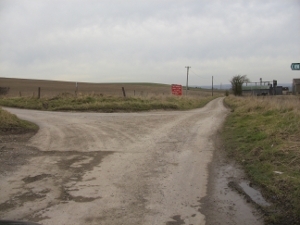 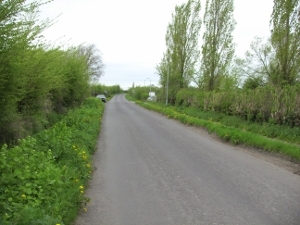 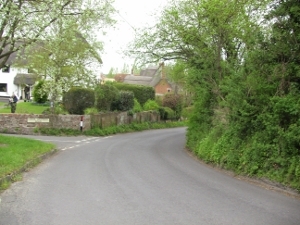 To your left is Ministry of Department property along the whole route. 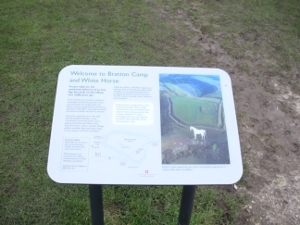 Do not stray into this land. 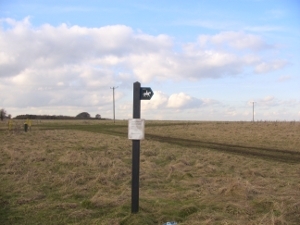 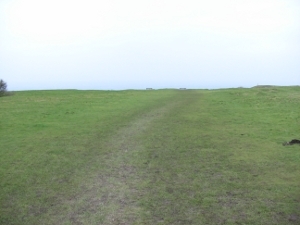 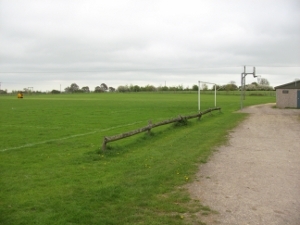 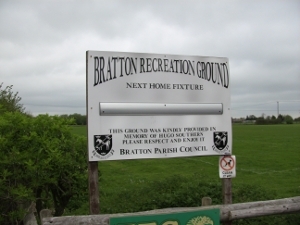 After 4½ miles the major track on which you are running turns left (although there is a path which continues straight ahead). 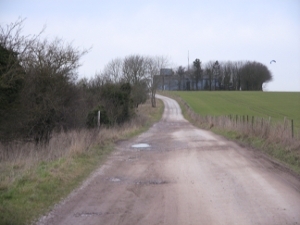 Follow the major track. 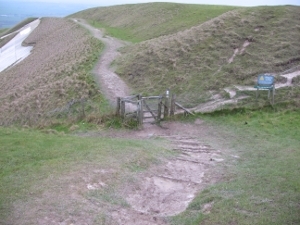 For the last part of this leg study the map carefully. 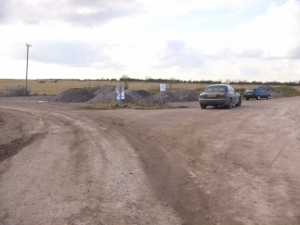 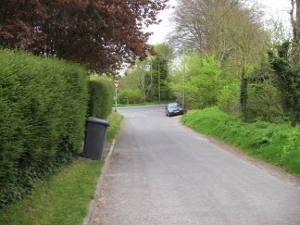 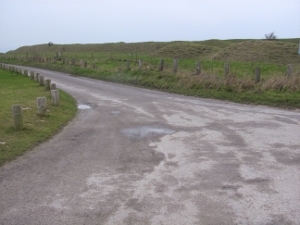 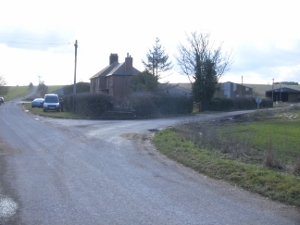 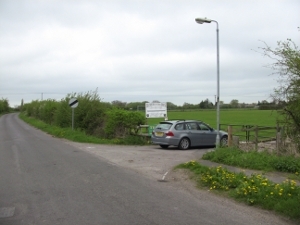 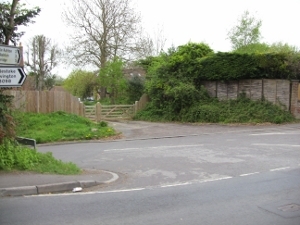 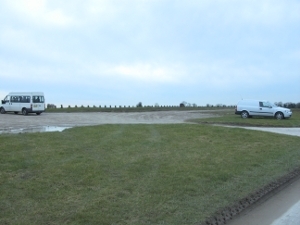 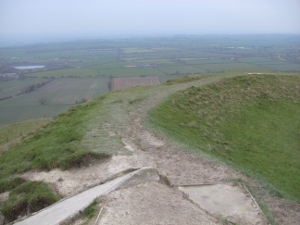 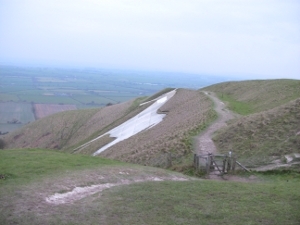 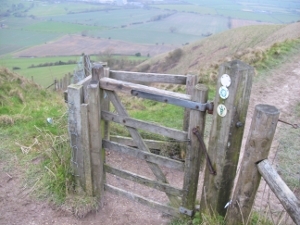 the parking place for the Westbury White Horse. 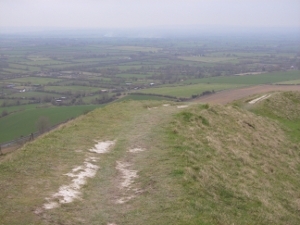 The views from here are magnificent. 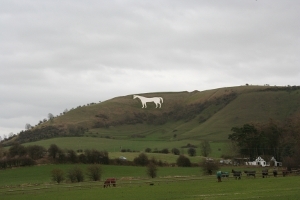 you will soon see the White Horse. 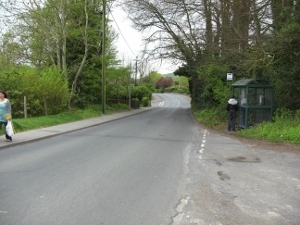 take care and walk across the road. 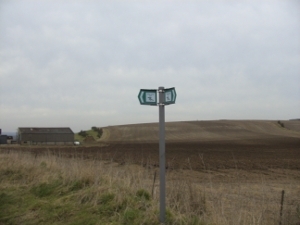 This is the start of the next stage. 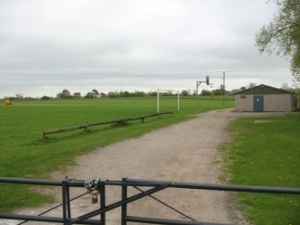 Showers and changing rooms are available here.